The Kentucky Wildcats are the 2012 NCAA Men’s Basketball National Champions! 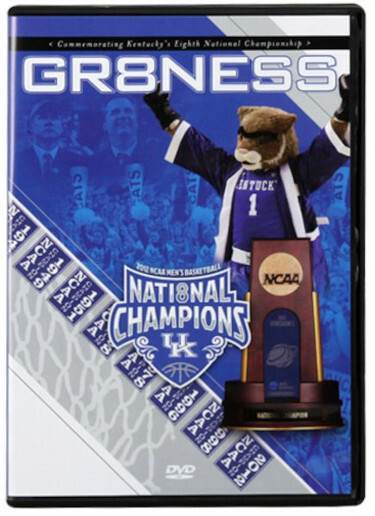 Celebrate the team’s historic 2012 basketball season with this exclusive look at the Wildcats' championship run featuring behind the scenes video alongside interviews with some of your favorite UK players and head coach John Calipari. Led by freshman Anthony Davis, the Associated Press' college basketball Player of the Year, watch the Kentucky Wildcats wrap up an unforgettable season ! Officially licensed collegiate product - Brand: WaxWorks, Inc. Brand new – unused- unopened.